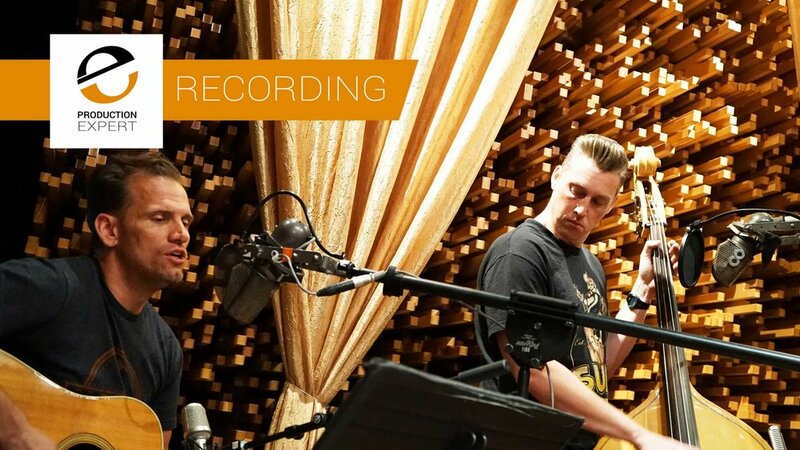 In this video for Production Expert made with the support of Universal Audio, Technical Editor James Ivey invites 2 friends to record a track with him using 2 Universal Apollo X16 audio interfaces. James also shows how he uses the UA Apollo 16 Generation 2 in a console workflow allowing him to access many great UAD-2 effects emulations. We also answer the question about which sounds better the new Apollo X16 or Gen 2 Apollo 16 interface. As I’m sure many of you are aware, back in March 2017 I shut down my fully pimped 12 core “Cheese Grater” Mac Pro for potentially the final time. I was making the move to what, at the time, I referred to as “The Dark Side.” I was swapping out my 2009 Mac Pro for a brand new HP Z840 Workstation running Windows 10. This is the story of why I switched. We recently featured an ingenious video from Youtuber Leomakes in which, by adding a transducer and pickup, he converted a steel shelf into a rudimentary plate reverb. It was a brilliant demonstration of how plate reverb works but sounded decidedly trashy. As any proper engineer would, in this follow up video he’s re-worked it and now, as well as still being ingenious, it actually sounds half decent too! The team at Audient recently spoke with Phil French and Tom Puttick from Cedar Studio to talk about their process in creating the sound effects and music for new game Two Point Hospital. If you have ever wondered what it takes to write music for a game and just how creative you have to be when it comes to making strange machine sounds this video gives you an insight into the process and creativity needed to populate the world of a modern gaming environment. 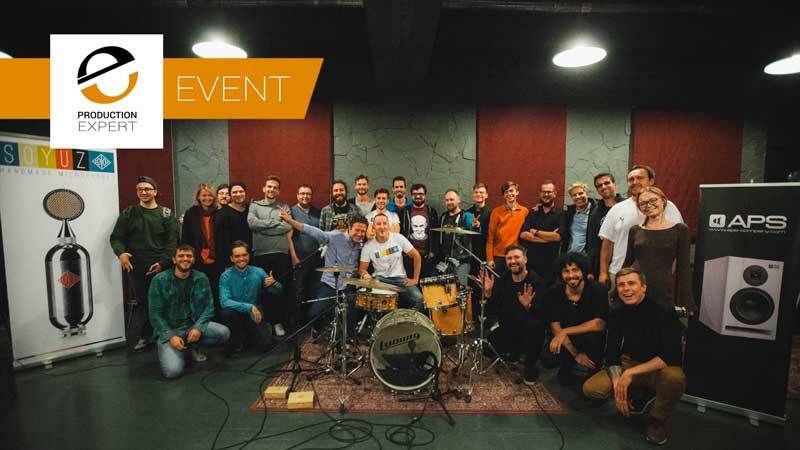 I was deeply honoured to be invited to Studiya Igorya Matvienko recording studios in the Russian capital, Moscow to lead an audio engineering workshop in association with Soyuz microphones and APS monitors. During this one day event we would record a four piece band then mix the track. You know the way records used to be made. This is the story of new found skills, great music and new friends. If your experience with audio processors is mainly using plug-ins, it can be a challenge when you encounter an analog hardware device. There's no menu full of one-size-fits-all, celebrity engineer presets to get you started. The truth is if you want to grow as an engineer you're better off without presets. It forces you to jump into uncomfortable territory, do some research and use your ears to make decisions about what you like, or don't like, and if it works, or doesn't in any given situation. In this feature, we're going to explore hardware advantages and dig into the workings and setup of the revered 1176 compressor. When recording vocals and acoustic instruments together in the same room, leakage can be your worst enemy. But by choosing the proper microphone and pattern, then placing them with care you can end up with usable tracks that don't fight each other. 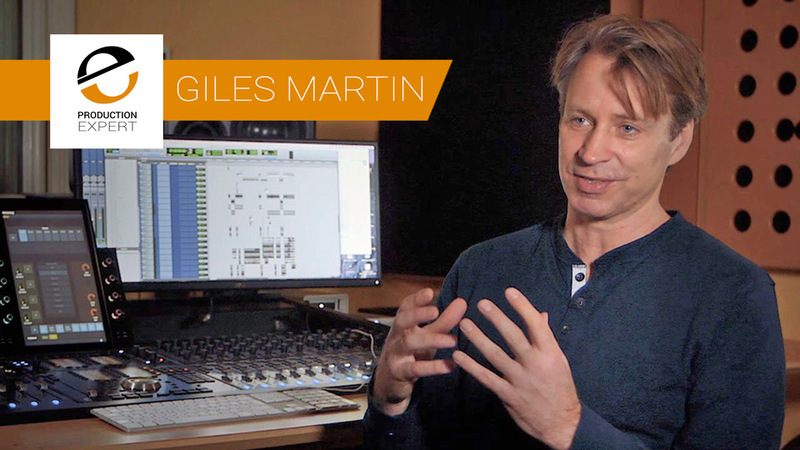 This is a series of 5 videos produced for Avid, Giles Martin the award-winning music producer, composer and arranger in his own right, as well as the son of the legendary 5th Beatle and producer Sir George Martin, talks about what it takes to be a producer, working on a Cirque du Soleil and Beatles spectacular, remixing The Beatles, working on the Grammy-award winning documentary movie, ‘The Beatles: Eight Days a Week: The Touring Years’ and producing Paul McCartney. 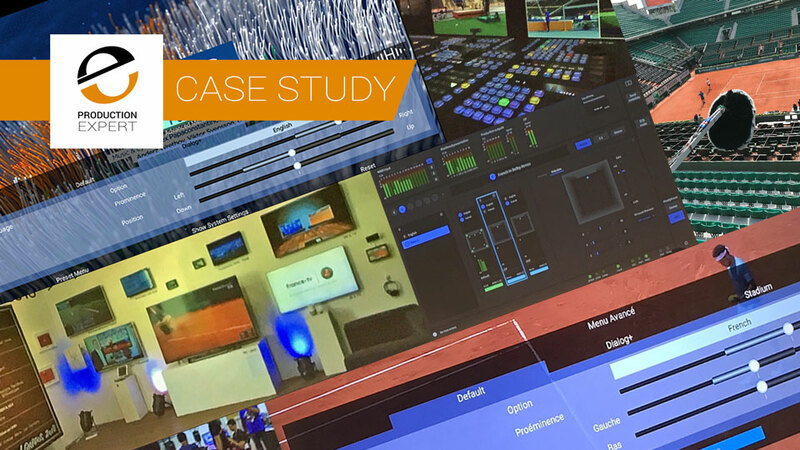 The team from UK console and interface manufacturer Audient recently visited the musically amazing Graham Coxon (of Blur fame) to find out how he wrote and recorded the soundtrack for the hit Channel 4 and Netflix series 'The End Of The F***ing World'. Graham talks through how he recorded the song 'Walking All Day' at his home studio in London. 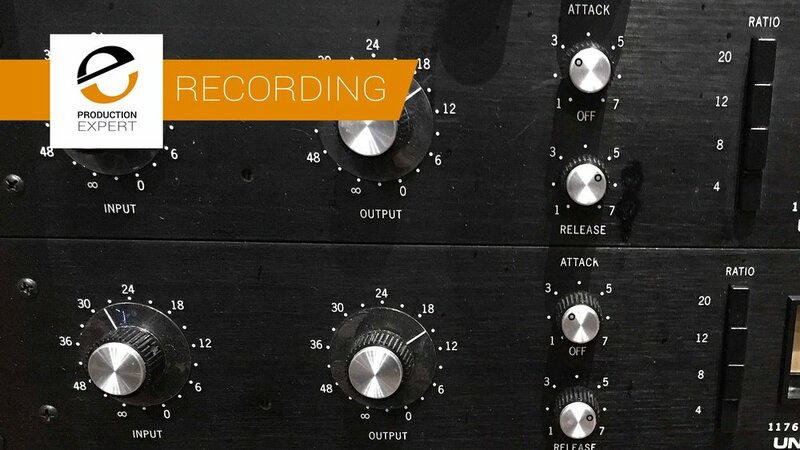 In this video James starts by showing you around his mix session and explains his initial routing choices such as the addition of a drum buss and two reverb sends. James then takes you through the processing he used on his tracks. Watch the video to hear each stage throughout his mixing process. Why Do Audio Professionals Rate ATC Speakers? Julian recently had the pleasure of spending the day at ATC's factory in Stroud, or near Stroud as everything about ATC is refreshingly un-corporate, including their very down to earth factory in the beautiful Cotswold hills in the south west of the UK. He came away with a healthy respect for a small company doing something right. The 60th annual Grammy awards reached an estimated 20 million viewers around the world when they were held back in January 28th at Madison Square Garden, New York City. The A32 AD/DA digital converter from German manufacturer Ferrofish played a pivotal role in the success of the evening’s elaborate live performances, which included high profile artists such as Kendrick Lamar, Gary Clark, Jr., Lady Gaga, Kesha and the big winner of the night, Bruno Mars. In this video for Production Expert, Pro Tools Expert Technical Editor James Ivey, makes a visit to Stream Records in Tustin CA to meet with Bruce Millett from Burbank Audio Systems, the designers and manufacturers of the stunning Custom System 75 console powered by Neve. In a departure from his normal style of videos for Production Expert, Technical Editor James Ivey lives up to the technical title and shares the recent experience of some "scientific" testing on four current audio interface models.